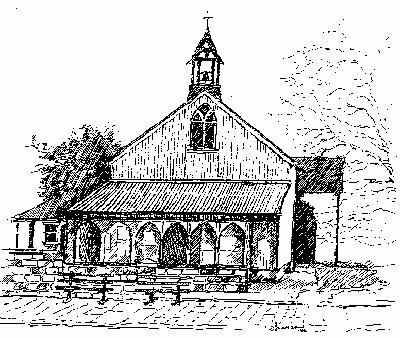 Until 2015 the Main Street Community Church building was administered for the Church by the trustees of this trust. The Frodsham Evangelical Fellowship Trust was formed on 17 November 1978 with the aim of furthering Christian work in Frodsham and elsewhere. The purpose of the Trust was “the proclamation and furtherance of the Gospel of God concerning His Son Jesus Christ our Lord and the preaching and teaching of the Christian faith”. The doctrinal basis of Frodsham Evangelical Fellowship Trust, reproduced here, was a schedule to the Trust Deed. Main Street Community Church has the same basis of faith. The Unity of the Father, Son and Holy Spirit in the Godhead yet each with individual personality to whom equal honour is due as God. The divine inspiration and infallibility of the Holy Scripture as originally given and its consequent trustworthiness as the supreme authority in all matters of faith and conduct. The universal sinfulness and guilt of human nature since the fall of Adam separating man from God and rendering him subject to God’s wrath and condemnation. The necessity of the Holy Spirit’s work in regeneration and sanctification in the individual sinner causing repentance towards God and faith in Jesus Christ; also in ministry and worship. The Holy Spirit indwells the believer from the moment of his being born of God. The justification of the sinner before God is by faith in Christ alone not of works lest any man should boast. Such faith is made evident by holiness of life and good works. That Jesus Christ was raised bodily from the dead ascended to the right hand of the Father and is now the all-sufficient High Priest of his people and will return in person openly and in glory to receive them to Himself and to set up His kingdom. The Ordinances of Believers Baptism and the Lord’s Supper. The resurrection of the body the judgement of the world by our Lord Jesus Christ with eternal blessedness of the righteous and the eternal punishment of the wicked. This is the refurbished building originally called St Dunstan’s and, more recently Main Street Chapel. The name was changed to Main Street Community Church on 1 July 2007. The illustration is copyright © D Shallcross. All rights reserved. Main Street Community Church home page → Organisation → Frodsham Evangelical Fellowship.